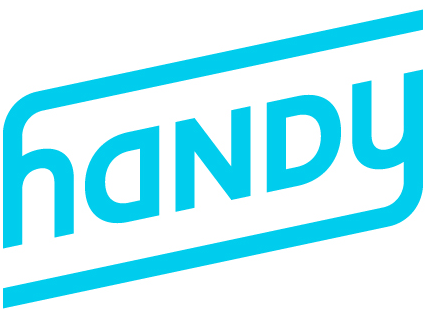 We want all of the professionals using the Handy Platform to be successful, and part of that success is equipping you with knowledge about fees you may incur while on the platform. Here are some suggestions we've heard from our top pros on how they avoid fees. Cancellation Claim: You will be subject to a cancellation fee if you cancel a booking or proxy within 48 hours of the start time. As you get closer to the start of the booking the amount of the fee may increase. The app will let you know if you are claiming a booking within the cancellation window, as well as letting you know what fee range you fall into if you do cancel the booking. To avoid this fee, be smart about bookings you claim and make sure to cancel anything that you cannot complete outside of 48 hours. Late fee: You may be subject to a late fee if you show up after the start time requested by your customer. To avoid this fee, it is helpful to leave early, giving you enough time just in case anything goes wrong during your commute. If you do feel like there is a chance you might run late, it is best to let your customer know as soon as possible. Another way you can avoid this fee is by letting your customer know in advance that you are running late by texting them and making them aware of this or marking that you are running late when you use the “On My Way” feature in the app. No Show Fee: A no show fee is issued when your customer reports that no one showed up to their booking. Or if you are so late for a booking that the customer decides to cancel. The best way to avoid this fee is to make sure to go to every booking claimed in your Portal app. If you arrive and your customer is not there it is important to make sure you follow the process to let us know that you attempted to make it to your booking. The 3 step procedure is as follows: check in to the booking when you arrive at the location, reach out to the customer multiple times (by calling, texting, and using the in app chat feature), stay around the location for 30 minutes and check out when you leave. This way if a customer who is not present tries to say that a professional did not show up, there is clear evidence to dispute that fact. Left Early Fee: A fee may be applied to your payment for leaving early without confirming the completion of the service. Our best professionals steer clear of this fee by staying at the appointment for the entire duration. Remember that if you complete all of the standard tasks you can use the remaining time to complete an Extra (i.e. inside cabinets, inside fridge, inside oven, interior windows, or laundry wash & dry). Customers pay for a certain amount of time for their residence. They appreciate all of that time being used to complete the booking. Service Issue Fee: Service issue fees are added in the event that a customer expresses serious dissatisfaction with a cleaning service to the point that a replacement booking or a full refund is supplied. To avoid this fee, top pros practice clear and open communication with their customers, asking their customers what their priorities are and focusing their cleaning toward the customer’s preferences. Key Replacement Fee: If your customer left keys for you to enter their residence, a fee will be charged if these keys are reported missing. The biggest cause of these fees is leaving the key in the apartment or home and accidentally locking your customer out. The best way to avoid a key replacement fee is to communicate with your customer exactly where you should leave the key well before you are ready to leave the booking. Referral Fee: If you offer services to customers outside of the platform a referral fee will be placed on your next batch. If you would like to work with that customer again please ask them to add you to their Pro Team, this will ensure that you get a request for their future bookings. Damaged/Missing Item Fee: If your customer reports that an item is damaged or missing after a cleaning Handy will charge a fee to compensate your customer for the cost of the item. Always make sure you are very careful not to damage anything while in your customer’s home.